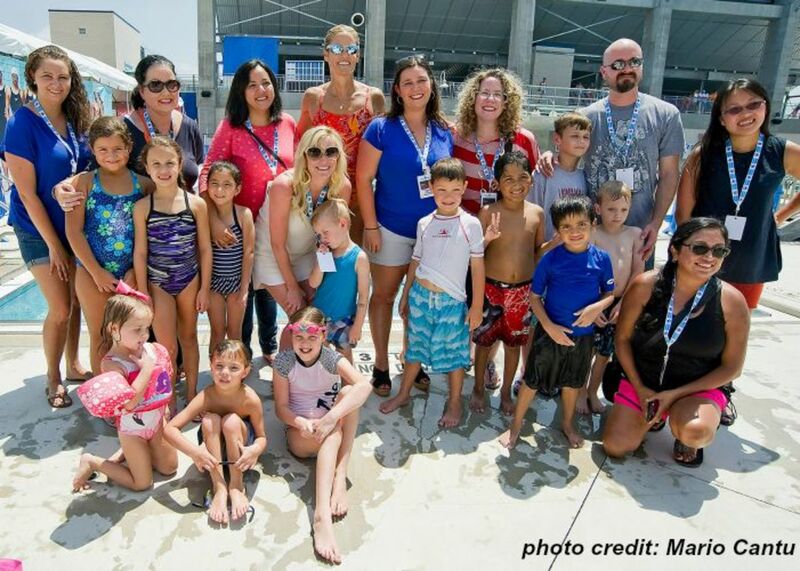 Momtrends joined South Texas bloggers and USA Swimming for lunch at the NationalChampionships in San Antonio to learn all about the #funnestsport. 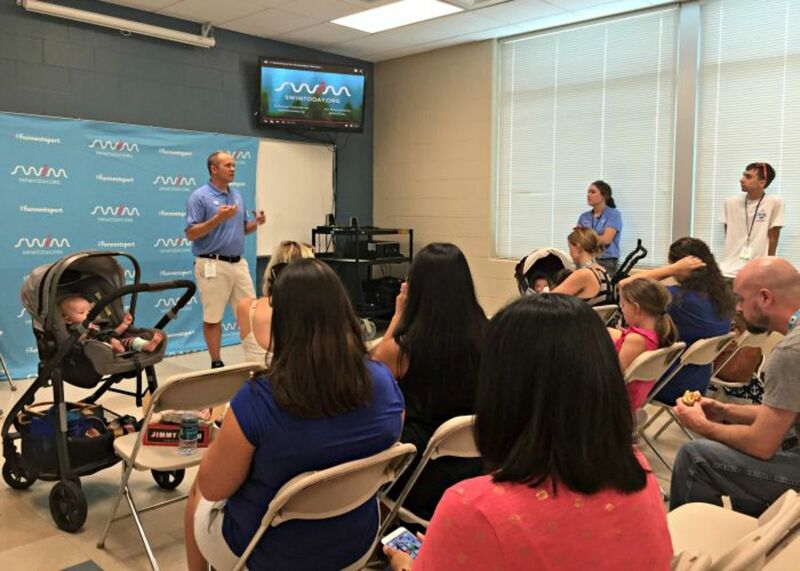 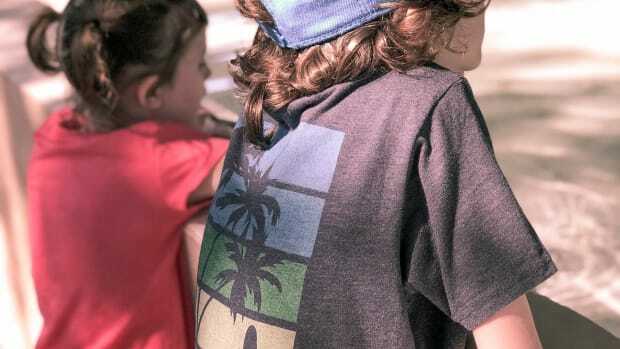 While the group enjoyed lunch (and the kids played and colored), USA Swimming Chief Marketing Officer Matt Farrell welcomed everyone and introduced SwimToday, the organization’s program created to educate families about the #funnestsport: swimming. 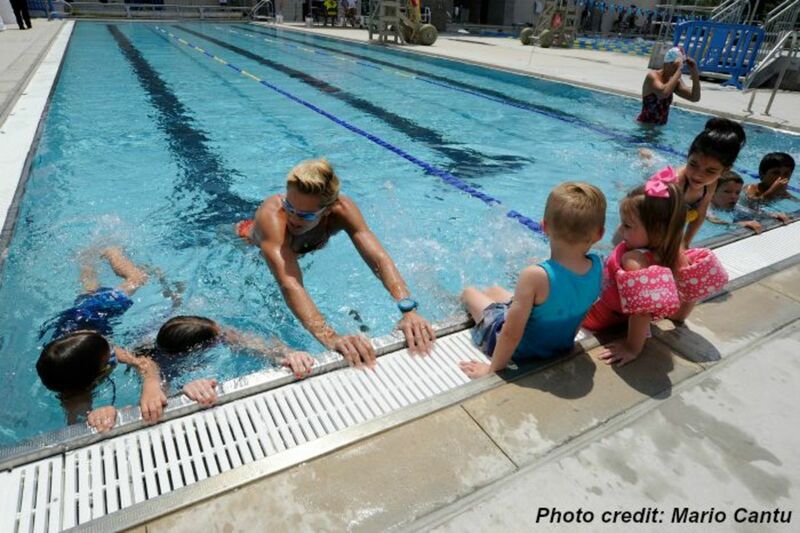 Dara also provided tips for parents of hesitant swimmers (put goggles on them, even the youngest kids learning to swim, so they can see what’s under water) and explained how the SwimToday.org site is a great resource for parents to find swimming pools and swim teams in their area. 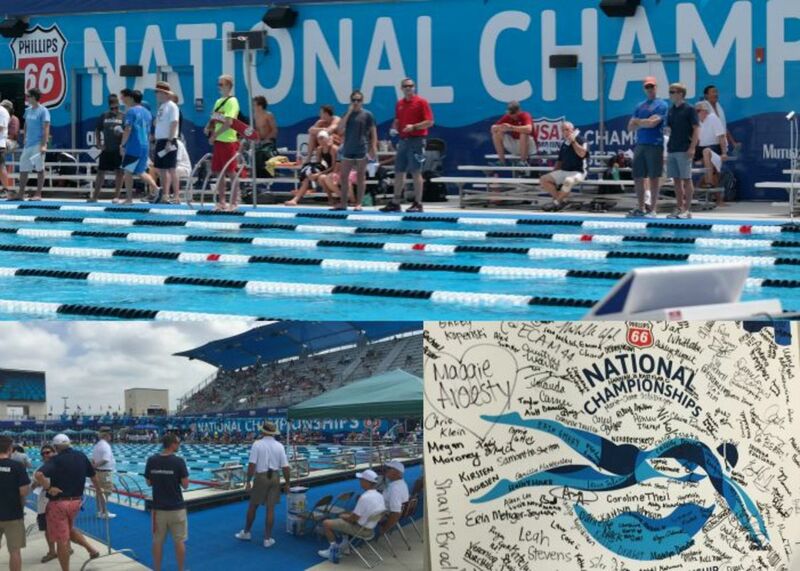 Following a behind-the-scenes tour of the National Championships to watch swimmers from around the country warm up and compete, the kids got in the water with Dara for a once-in-a-lifetime experience: a swimming lesson with an Olympic champion. 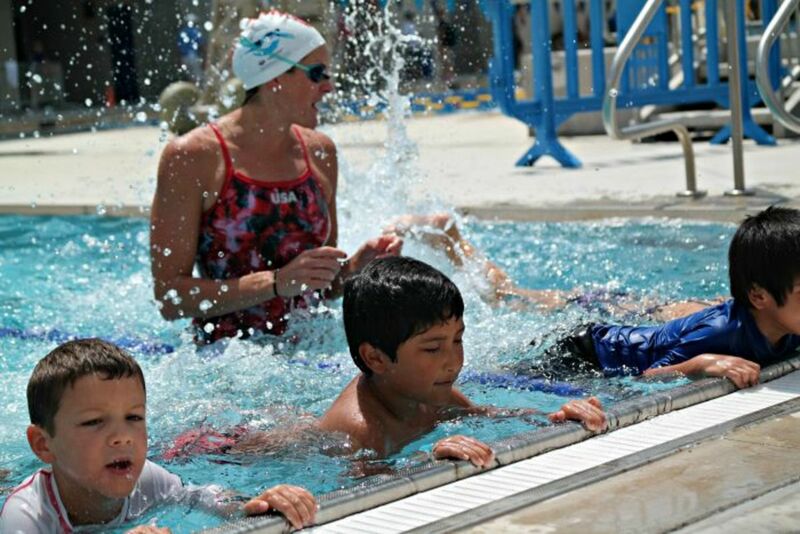 USA Swimming National Team Managing Director and decorated swimmer Lindsay Mintenko joined Dara to help teach the kids. 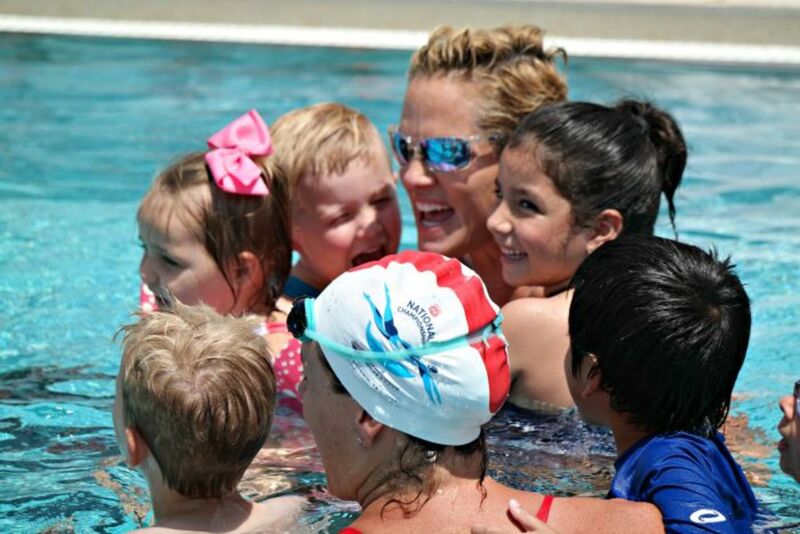 It was an unforgettable day for all, spent with an Olympic champion, learning to love the #funnestsport of swimming. 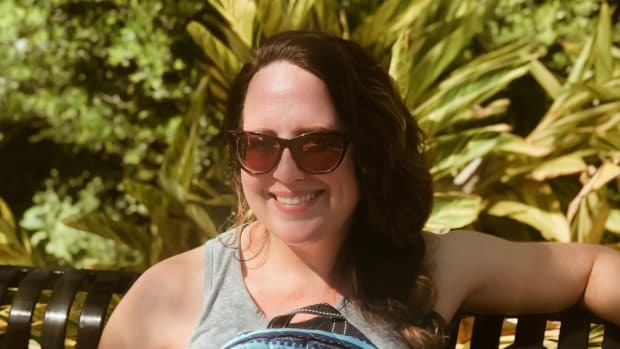 Many thanks to Colleen Pence from San Antonio Mom Blogs for covering the event for Momtrends and providing many of the great photos in this post. 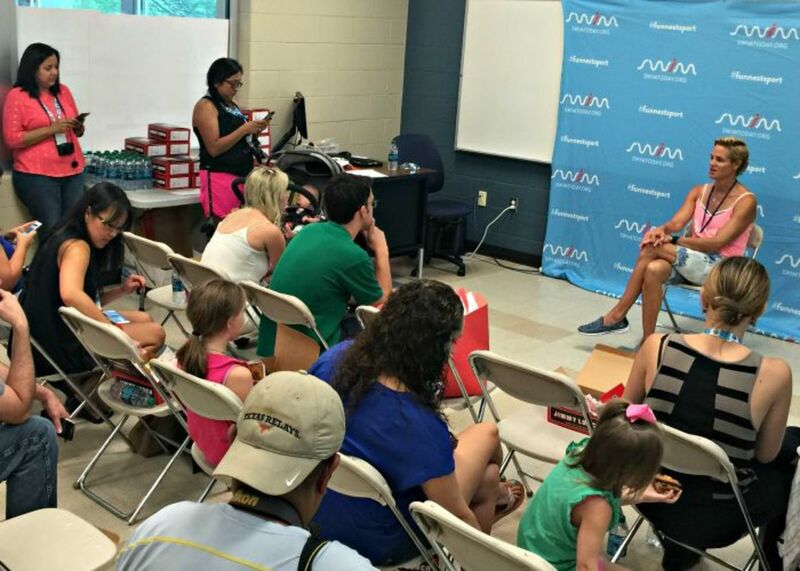 Disclosure: This event was sponsored by USA Swimming. Thank you for a once in a lifetime unforgettable experience!